The Youth Initiative for Education, Development and Empowerment of Niger Delta (YIFEDEND) has told Hon. Heineken Lokpobiri, the Minister of State for Agriculture, and ex-Bayelsa State governor, Mr Timipre Sylva, that their alleged plot to rewrite the NDDC Act, 2000, will end in futility. YIFEDEND is alleging a plot by Lokpobiri and Sylva to ridicule President Muhammadu Buhari’s appointment of the NDCC board. Ambassador Agbonkpolor Splendour, president of the YIFEDEND, at a recent press conference in Abuja, described the duo’s effort to convince President Buhari to dissolve the NDDC board by December 2017 as an act of desperation. Splendour said, “This has become pertinent in the face of obvious mischief, threat to the existing peace and quiet in the Niger Delta and deliberate red herring by the Minister of State for Agriculture, Hon Heineken Lokpobiri and former Governor of Bayelsa State, Mr Timipre Sylvia. “It is reprehensible, the group said, that they would continue to insist that the tenure of the present NDDC board should expire this December, 2017 on the basis of their claim that the said board was appointed to complete the tenure of the board it succeeded. “Let us make the point and strongly too, that argument is a wasteful attempt to unilaterally rewrite the enabling law that set up the commission. Even the section 5, sub-section 3 which they are relying on is irrelevant as it clearly applies to situations in which there is a substantive board in place and a vacancy or indeed a number of vacancies happen to occur therein. “However, nowhere in this or any other section of the act is there even the slightest indication that such tenure completion is envisaged for the entire board or even that a new board might complete the tenure of a sacked on. 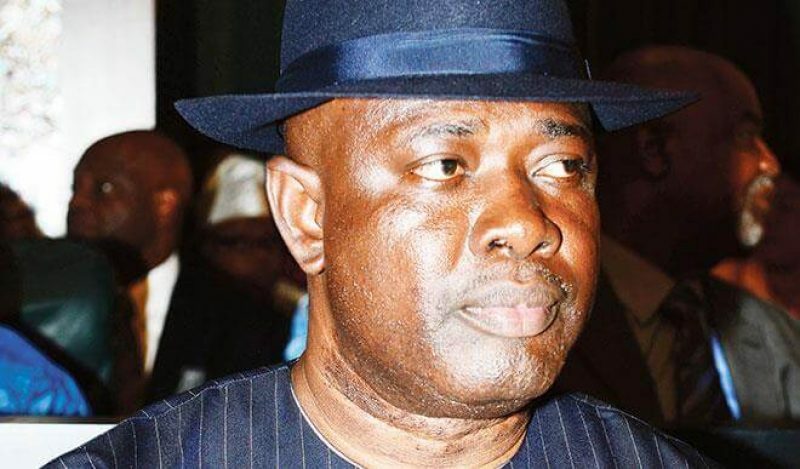 “If the duo were loyal party members and altruistic, they should have realised that the present NDDC Board did not meet any board members on ground, rather the one they succeeded was set up by the former administration of the Peoples Democratic Party (PDP) government and was appropriately dissolved when the All Progressives Congress (APC) took over. “So for any individual or group of individuals out of desperation continue to stoke the embers of conflict and pandering falsehood over the tenure of the present board of the NDDC is unhelpful and begs the question on the real issues of development in the region. “It is curious that Mr Lokpobiri and his taskmaster failed to realize that when the commission’s board was reconstituted, it was without any other members from the board it succeeded, have no reference point whatsoever, from the point of view of tenure with the erstwhile board, and cannot possibly be envisaged under any legal parameters as liable to exit their offices with persons no longer on the board. “Rather than for these persons to support the decision of President Buhari, on NDDC board, they have decided to try ridicule the President before right thinking Nigerians and make him look dishonourable in the eyes of right thinking Nigerians. According to the group the leadership of Sen. Ndoma-Egba, and Ekere are working hard clear backlog of unpaid contractors while ensuring projects are spread across the entire region to uplift the living standards of the people of the region. “The good and progress loving people of the Niger Delta and the rest of the country will resist vehemently any attempt to subvert their interest over selfish elitist interests that do not take them into consideration. “Those detractors, who are attempting to subvert the gains of change in the region, should desist from setting the region back. Leaders of the region like Timipre Sylva and Sen. Heineken Lokpobiri should cooperate with the current management for the progress of the region, rather than throwing spanner in the works of President Buhari towards a better Nigeria”, he stated.